If you fancy the idea of seeing Eastern Europe, winter can be one of the best times to do it, as not only does it look picture postcard beautiful, but you can probably bag yourself a lower air fare, as well as reduced hotel costs, because it’s traditionally off-peak season for travel. If you want to see some culture, shopping opportunities abound not only in the traditionally urbane cities of Prague, Budapest and Warsaw, but as well as the usual shops, many of the larger Eastern European cities play host to wonderful Christmas markets that encompass cultural performances, scrumptious, warming seasonal cuisine, and locally made Christmas decorations to add a little Christmas cheer to your visit. Christmas markets are unsurprisingly usually held across the month of December, although some last longer. Poland: The largest Christmas Market in Poland is to be found in Krakow in December. Other cities also put on their own Christmas markets. At this seasonal spectacular, you’ll be able to pick up handmade Polish decorations, art and crafts and tasty delicacies. The Czech Republic. The biggest and arguably the best Christmas market in the Czech Republic is to be found in Prague. There’s another well known market every year in Brno, which is another major city in the Czech Republic, and both are worth a visit. 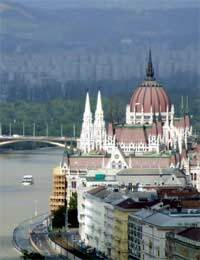 Hungary. The Christmas Market in Budapest starts at the end of November and carries on through to the end of December in the centre of Budapest. It also hosts a live nativity scene around Christmas Day. If you’re a culture vulture, maybe inspired by Strictly Come Dancing, you might like to get involved in the Ball Season in Prague and across the Czech Republic, which takes place in January. Prague is the best place to find a variety of events and different balls to attend. The Ball Season isn’t just restricted to classical ballroom dancing, although it’s amazing to pick up some of the atmosphere at some of the more sedate and formal balls. For those of us with more mainstream music taste, more modern variations on the ball are available to sample too. It’s portrayed as a fairytale destination, and for good reason. If you want a taste of the fairytale life, try spending a holiday in an Eastern European castle! Some of the palace and castle hotels that you can now stay in on a trip to Eastern Europe are beautiful, and of course crammed with charm and character. Palace and castle hotels in Eastern Europe are plentiful but you need to be organised if you want to book yourself into one as most of them are limited in size and for obvious reasons are popular for weddings and parties! Poland has more than sixty castle and palace hotels with sea views, close to big cities or hidden away in the countryside. Like Poland, Hungary also has plenty of palaces and castles to stay in, converted into comfortable hotels ideal for a really classy break. Most of them are situated away from the capital, giving you a chance to retreat in style. The euro ski guide list now lists ski centres in 13 Eastern European countries. Many of these countries have only just become part of the European Union and it’s easy to get a deal on a flight through one of the low cost airlines. The majority of Eastern European ski resorts are family friendly and easy to get to from the capital or major cities. All in all, a trip to Eastern Europe in the winter months can be a classy, cultural break, a shopping heaven or a fairytale adventure that you’ll never forget. And with low air fares and reduced accommodation prices in the winter months, it makes sense to book your winter break in Eastern Europe.